This is what I like to see. Pictured above are some chunks of clay with some of my Texas Jumpers working through them with no problem. 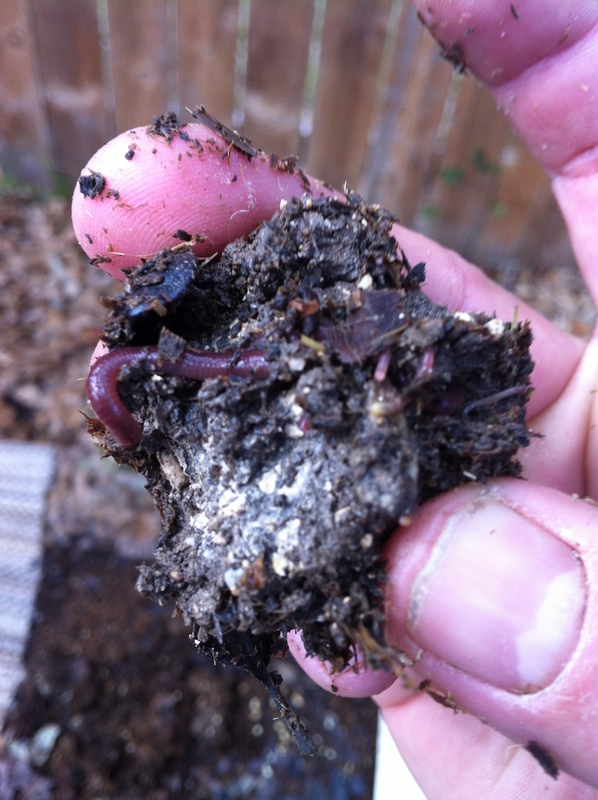 The ability of these native Texan worms to work in clay is what makes them suitable for adding directly to your garden or raised bed. 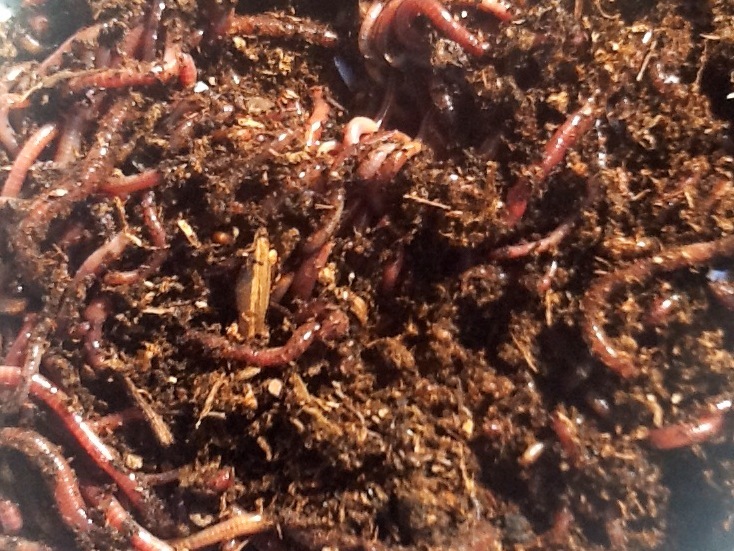 They are a hearty worm that grows to 6 inches or more in a few months time. The strength that they have at a few weeks old and small size is what separates them from European Nightcrawlers or Red Worms (eisenia foteda). 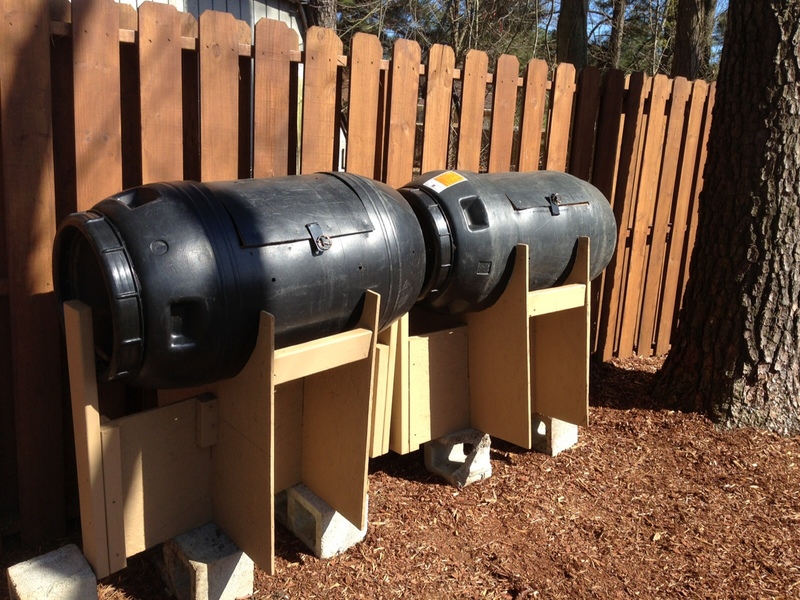 This strength makes them great aerators and tunnelers for your soil. They can dive and tunnel several feet and can survive through our extreme temps. 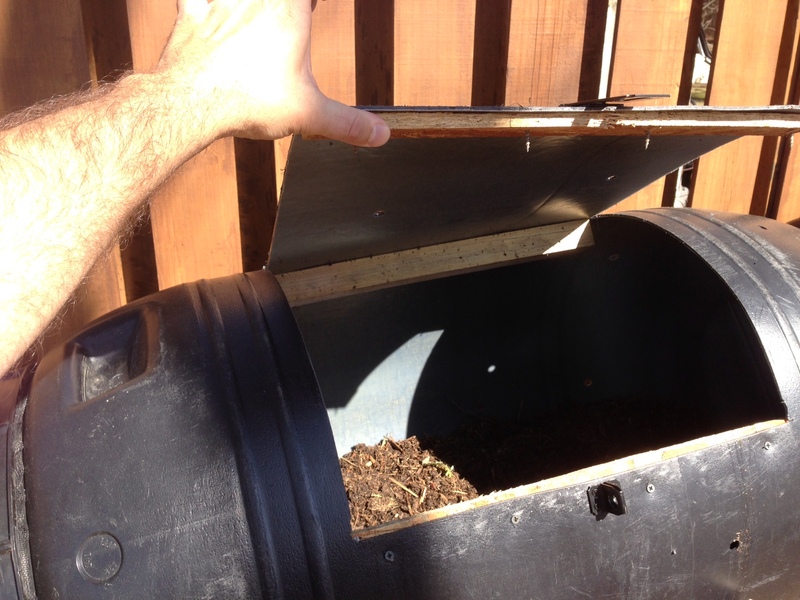 Pick a spot that has good shade for these worms, keep it composted, covered (old carpet or something similar), and watered for best results. 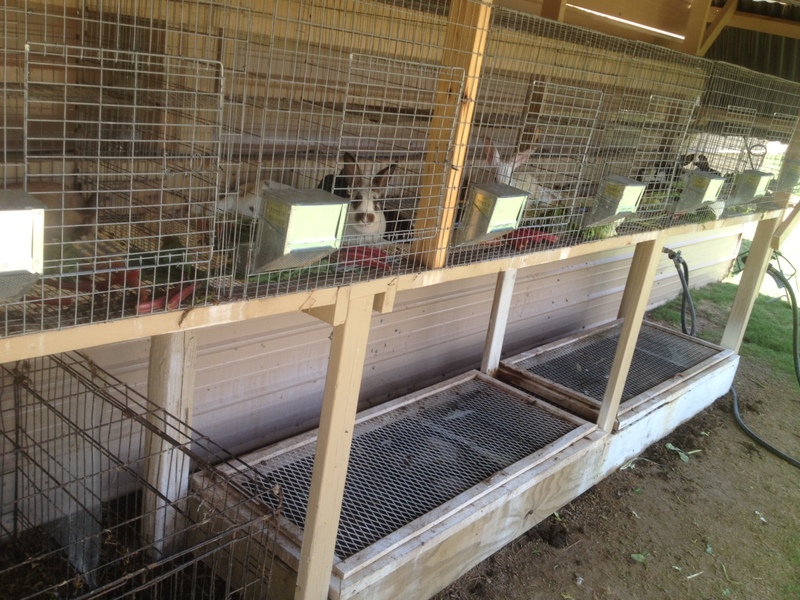 Once your population is established in several weeks, you’ll be ready to start moving them around a couple of handfuls at a time. With a little patience and persistence, you’ll have worms all over. I broke open a clay clod and found this young worm working through. 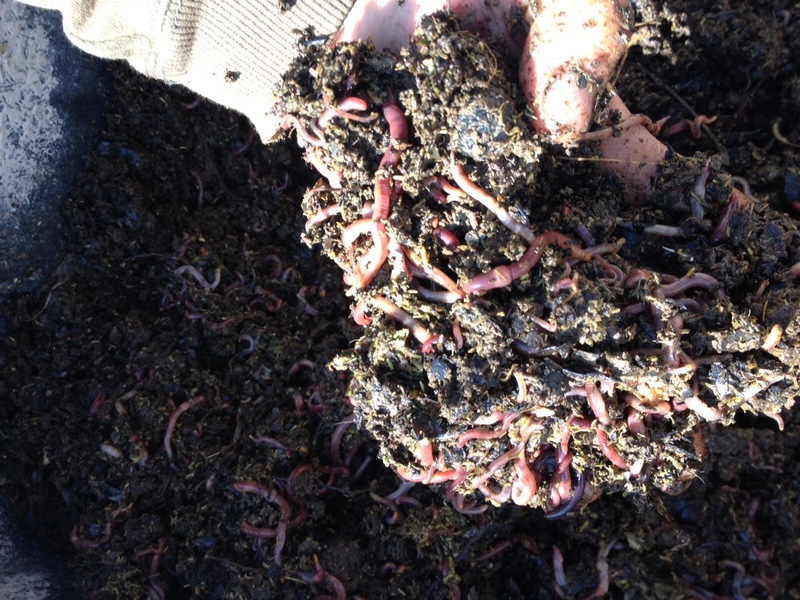 If these worms can handle this South Texas clay and caliche soil chances are they can benefit yours. (Insert your favorite state- Alabama, Texas, Carolina, Georgia) Jumpers are great for mixing and aerating garden soil. 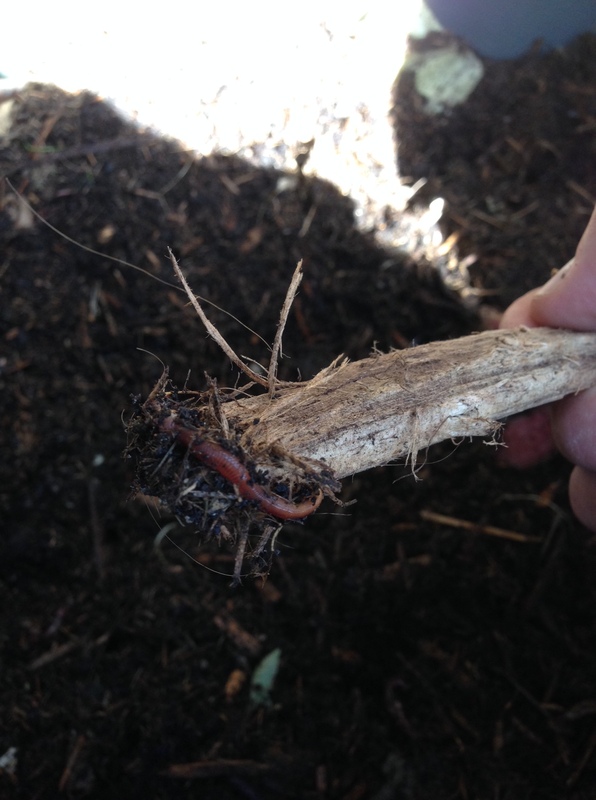 The only commercially available earthworm that is suited for introducing directly to the soil. 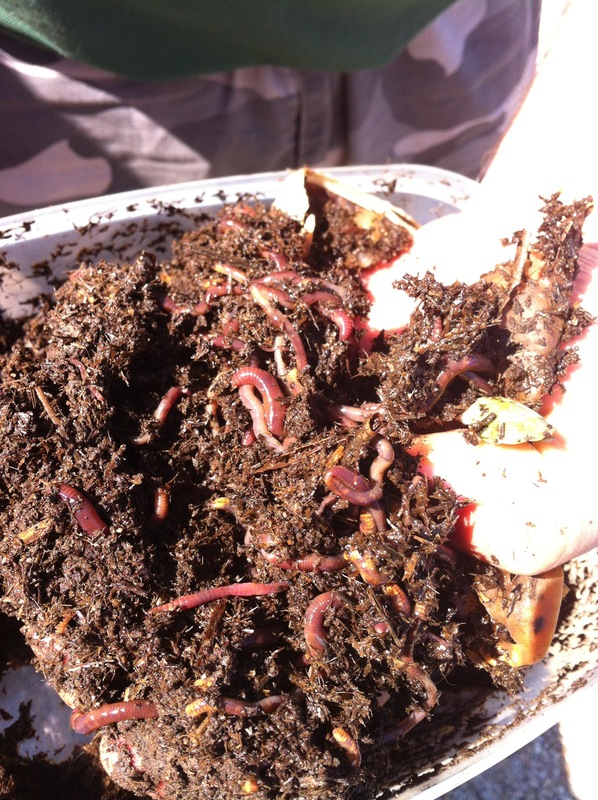 Some soil types and raised beds with an abundance of organic matter can potentially support red worms and European NightCrawlers, but if you are dealing with sand, clay, or packed ground Jumpers are the only option. With that said, I still recommend raised beds or pit method to get your herd started rather than just cutting them loose. 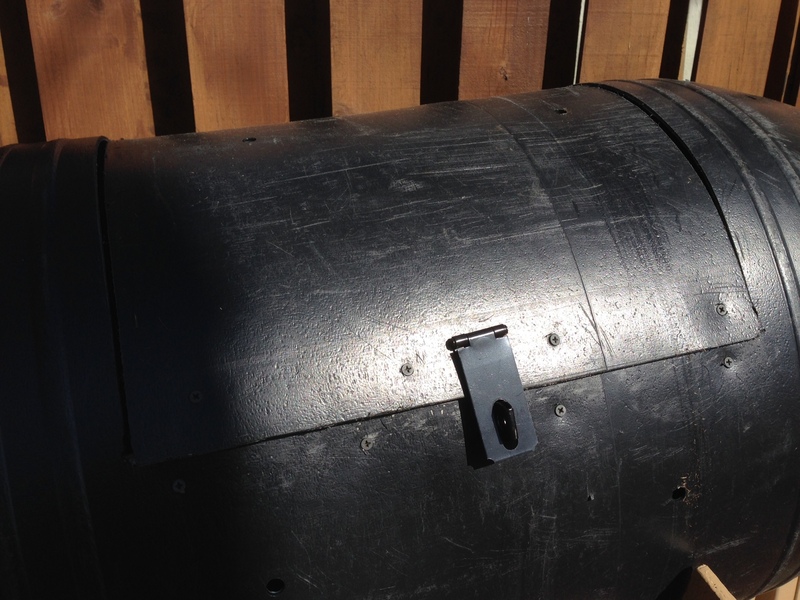 If you want to populate your yard or garden start with a sweet spot, and introduce them a handful or two at a time to other parts of your space. 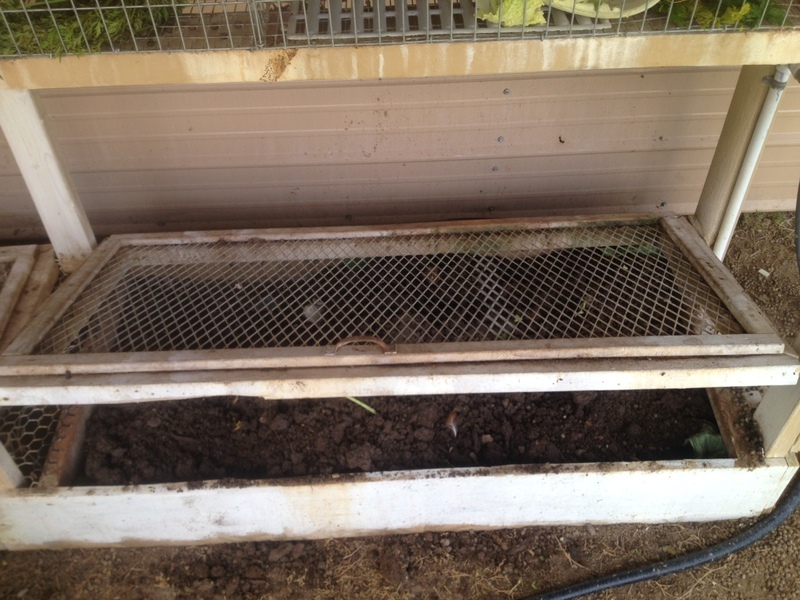 Jumpers can also be raised in bins just like other species, and I have had a lot of success with this method. Jumpers tolerate the Summer temps better than red worms but don’t handle sub 40F as well. 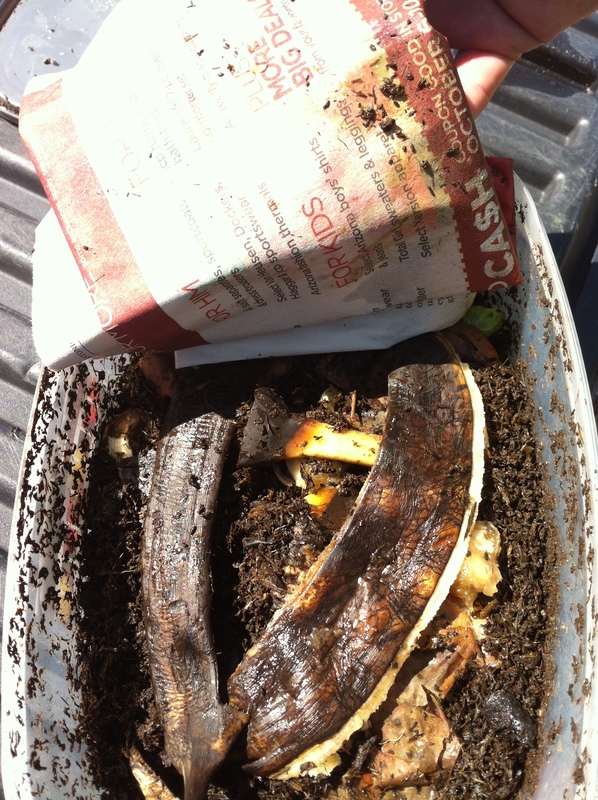 Keep in mind all earthworms are composters, will surface to feed and breed. 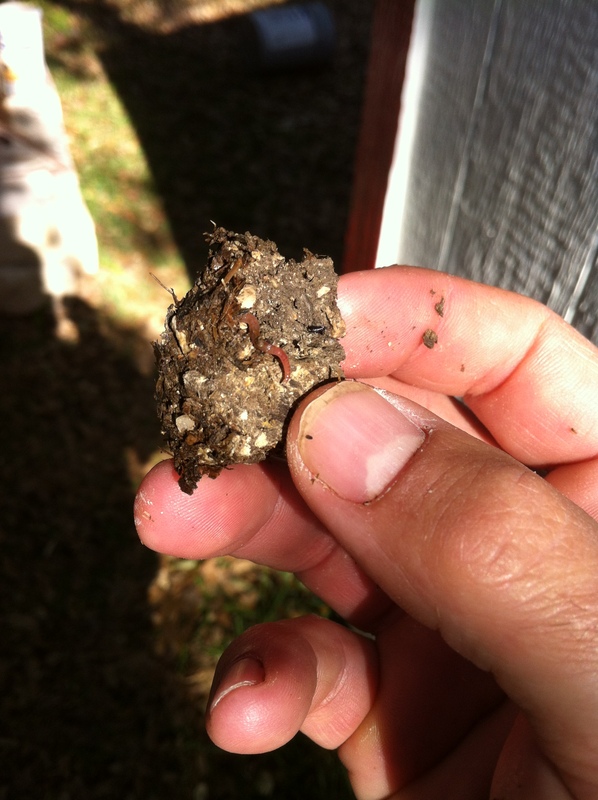 While earthworms share these characteristics, what makes them differ is their ability and need to tunnel, the range at which they operate, and temperature tolerance. 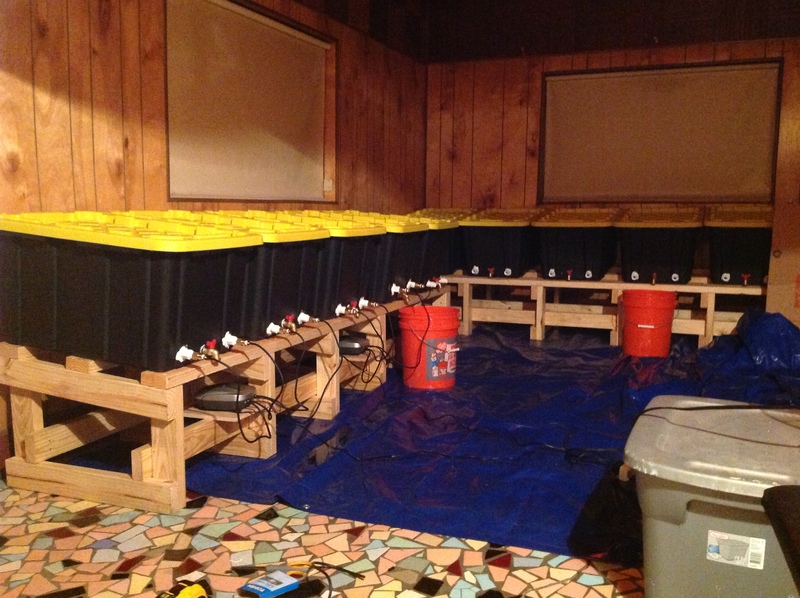 I have included a couple of pictures of one of our Jumper Starter Farms. This is designed to ship and gives you a healthy way to start and takes the guess work out of starting from scratch. 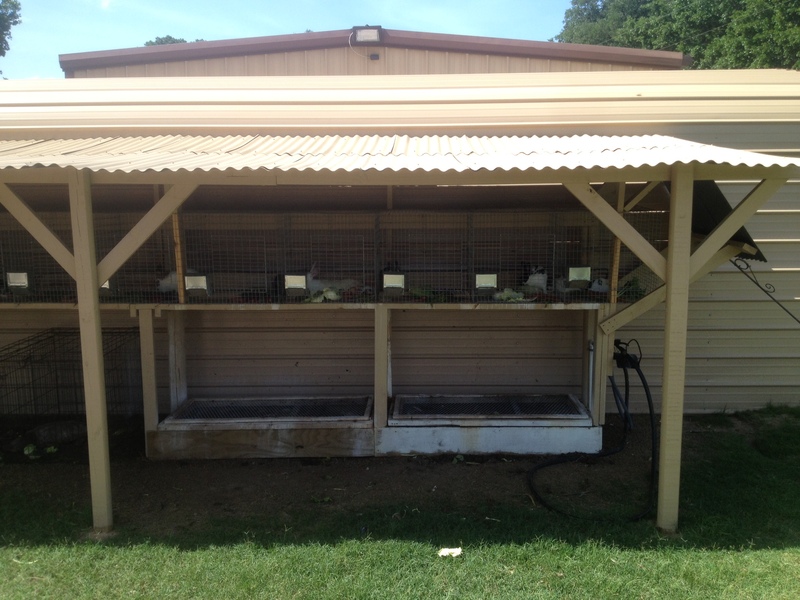 We take a sample of our beds (bedding and a few hundred worms of different sizes) to give you a solid start and something you can replicate as your population grows. When you see small worms and larger ones it’s a good indicator that you have a healthy happy environment that your worms are reproducing in. 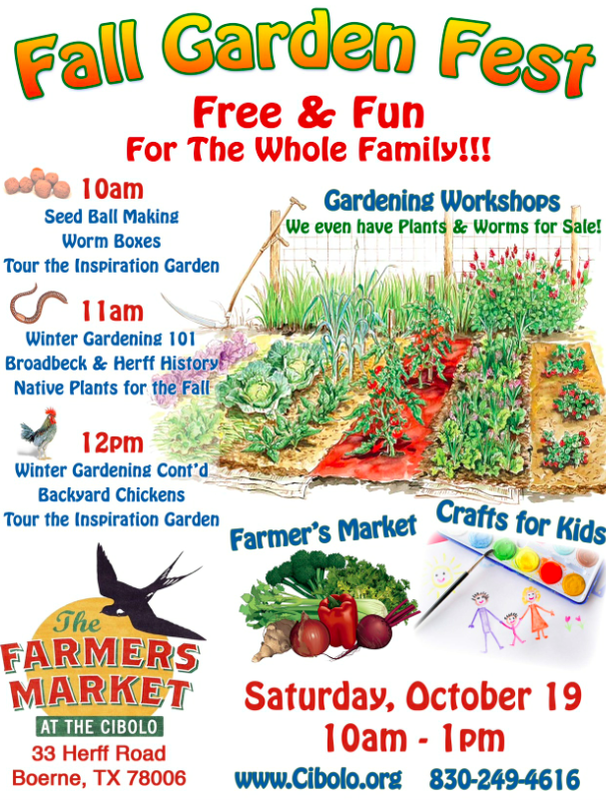 Depending on your needs and what you are trying to do, you will want to experiment and introduce worms in your soil to see which methods work best for you. 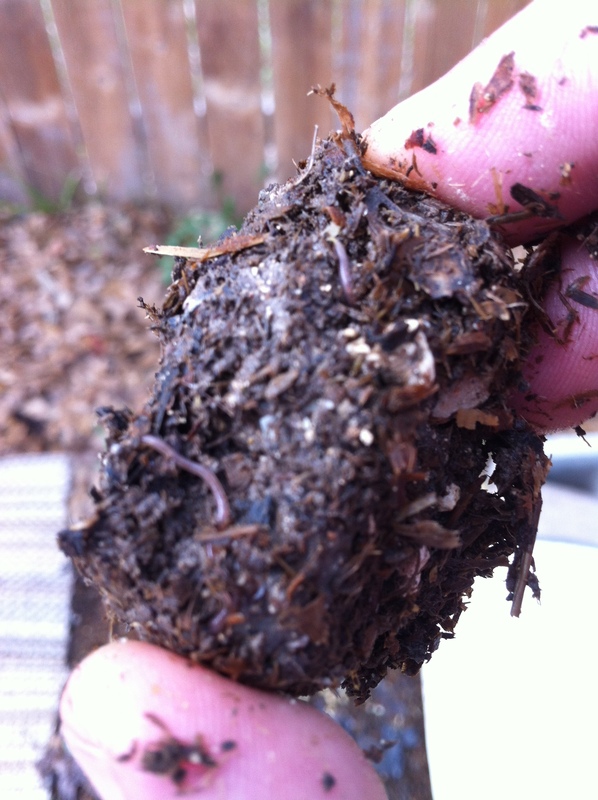 I would encourage you to focus on one spot and expand a handful or two of worms and bedding at a time when you see your worms growing and reproducing from there. 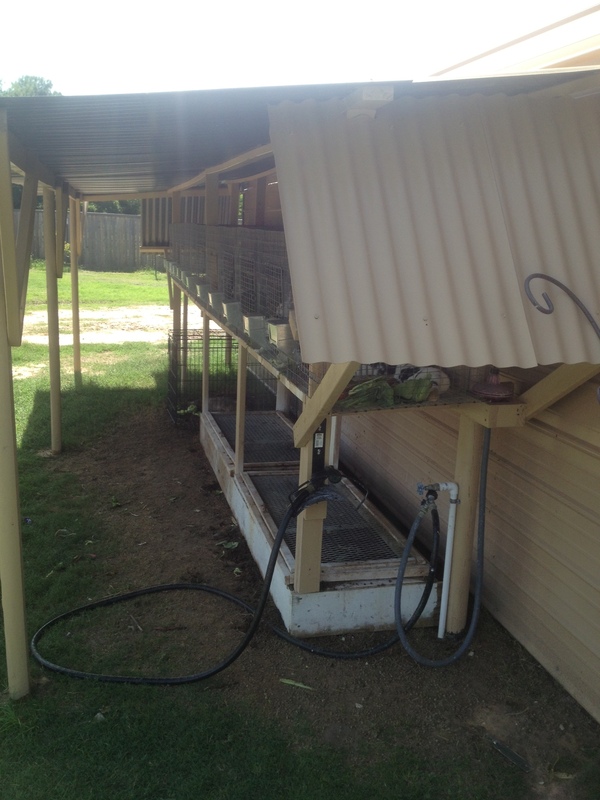 Thanks to Michael in Cypress, TX for sharing the pictures of his rabbit hutch and worm bed design. Great work and thanks for sending.